I found our Wildflower Wednesday star in the Susan's bed a few years ago. 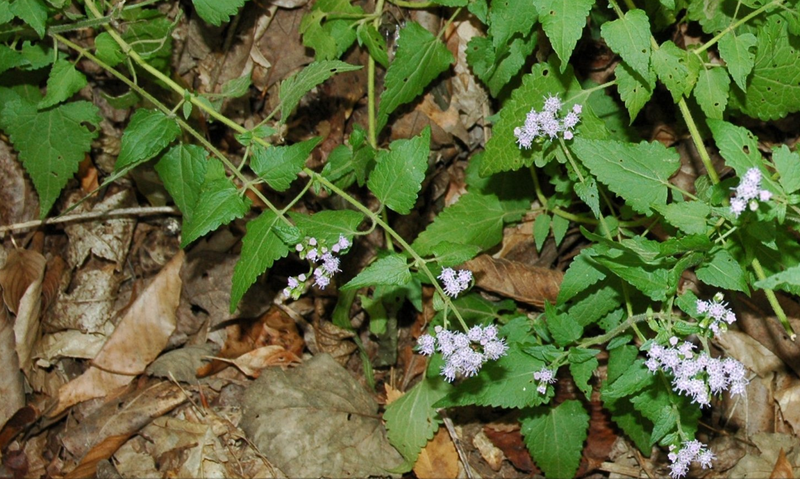 It looked like Conoclinium coelestinum/Blue Mistflower, but, the flowers were less numerous and pink. There were a few other differences, too. 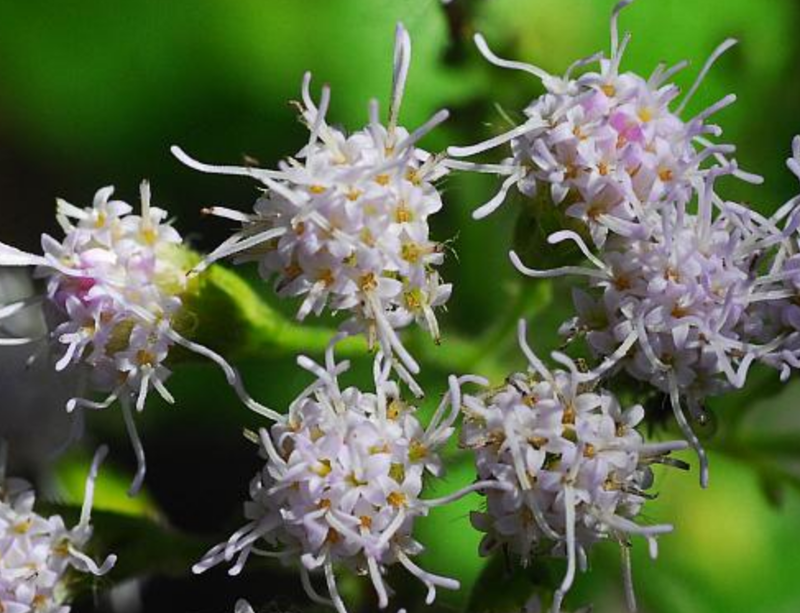 Blue Mistflower is a sturdy plant with upright reddish stems, while this little beauty could be best described as airy and loose limbed. I rather liked what I saw. I'm never surprised to discover a new native plant in this neighborhood or even in my garden. 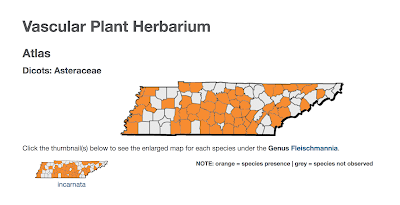 Plants frequently appear, either having gone unnoticed or because conditions were favorable for growth of seeds in the soil seed bank. This was a woodland not so very long ago and there must be many wildflower seeds laying dormant in the soil. Wildflowers and other Central Basin natives grew with happy abandon in the forested woodland where this garden now stands. Sixty three years ago a neighborhood was carved from the woodland and a house was built. Homeowners came and went, while the wildflowers grew quietly on the woodland edge. Thirty three years ago, my husband I bought this garden and that brand new gardener fell head over heals in love with the Goldenrods and blue clouds of ex-asters that were covered with bees and butterflies. The woodland remnants in my backyard and side yards were where I discovered the beautiful wildflowers that have become my gardening soulmates: False Soloman's Seal, Spring Beauties, Rue Anemone, Trout-lily, False Garlic, Blue-eyed Grass, Wild Sweet William, Sweet Betsy, Goldenrods, Blue Mistflower, Frostweed and those many white and blue ex-asters. Long time readers might remember that I built this garden around those native beauties, so, finding Fleischmannia incarnata to add to the mix was delightful. Fleischmannia incarnata is a North American species of flowering plant in the Asteracea family. It is native to the United States from Florida north as far as Virginia, Ohio, and Illinois, and west to Texas and Oklahoma. 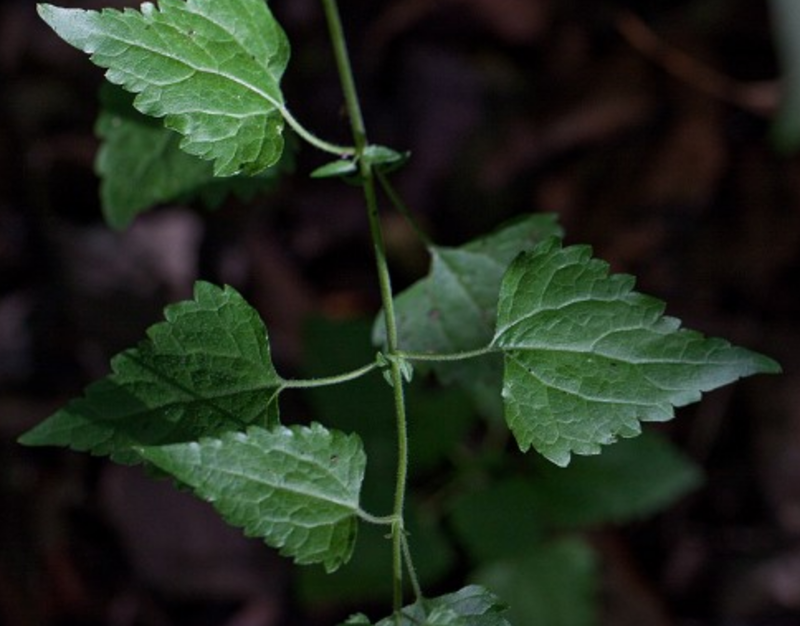 It's found happily growing in moist woodlands, thickets, marshes, and along streambanks. In optimal growing conditions, it can reach 6 feet tall, but, in my garden it's a low branching sprawler. It produces numerous flower heads in a flat-topped array at the ends of the stems, each head has about 20 pink or whitish-pink disk flowers per head. There are no ray flowers. The leaves are opposite, widely spaced at nodes, and triangular shaped; they remind me of Nepeta. They're softer to the touch than leaves of Blue Mistflower, which is another way to tell them apart. It has an airy, loose limbed attractiveness and is a good partner for Eupatorium serotinum, both are found in moist shade. 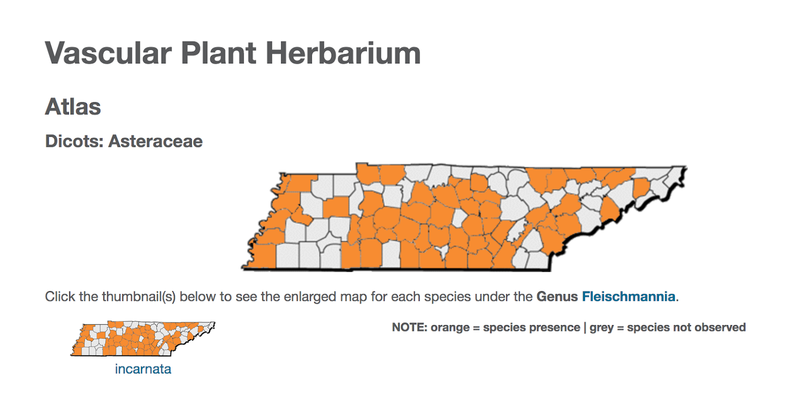 It's not unusual to find it sprawling against neighboring plants in a lax fashion. Training it on a trellis might help show off it's pretty flower faces to the world. 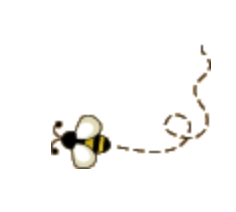 Foraging bees are frequent visitors. Skippers hover around it, doing their lovely mating dances. It doesn't appear to be a host plant for butterflies, but, if anyone reading this knows otherwise, please let me know. Dried plants are said to have an odor similar to vanilla. I must admit, I've not noticed, but, will make a point this fall when I collect seeds. I will definitely propagate it, because, one needs more sprawling beauties luxuriating in a garden. Size: 12 in. - 6 ft. | 30 cm - 1.8 m, low branching growth habit, sprawling. Bloom Description:Inflorescence - Flat-topped panicles of heads at branch tips and flower heads with disc florets and no ray florets. 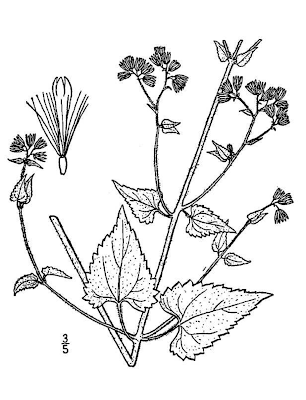 Best Plant Description: In appearance it is reminiscent of a tall, gangly ageratum with pale pinkish florets and catnip-like leaves. Maintenance: Low, as long as it is not allowed to dry out. Propagation Methods: From seed; direct sow outdoors in fall or direct sow after last frost. Seed Collecting: Allow seedheads to dry on plants; remove and collect seeds. Comments:Woodlands, thickets, moist soil, roads, ditches, stream banks, bottomlands, swamps, depressions, cedar glades and if your lucky in your garden. Wildlife value: This plant is attractive to bees, butterflies and/or birds (seeds). Doesn't appear to be a butterfly host plant, but, it is an excellent nectar source. Commercially available: One Beaufort, SC nursery had it for sale. Welcome to Clay and Limestone's Wildflower Wednesday celebration. WW is about sharing and celebrating wildflowers from all over this great big, beautiful world. Join us on the fourth Wednesday of each month. Remember, it doesn't matter if they are in bloom and, it doesn't matter if we all share the same plants. It's all about celebrating wildflowers. Please leave your link in the comment section if Mr Linky does not work. You always have such interesting and unfamiliar (to me at least) wildflowers to write about. Mine today are of the most common kind. Thank you. 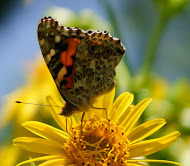 I am lucky to be where so many wildflowers were once abundant. Yes, I like this one! It would look lovely in your garden. One of mine is tiny, too. I like the color of these blooms. They are so sweet. I need more of them. Your garden has such a diverse wealth of wildflowers, Gail--this is another new one to me! It's a little sweetie pie! I've tried Mist Flower twice but my soil gets too dry in the summer without extra watering. I love this beauty. I have trouble keeping this happy in the droughty summers we are having. I share your excitement of finding a new wildflower in the garden. If you refresh the screen, it seems to sort out its grumbles - and the link is as it should be. 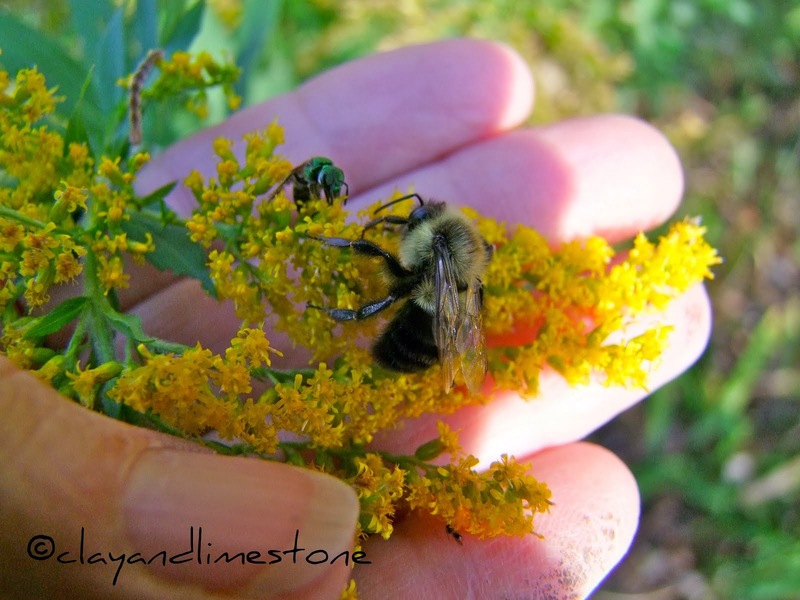 Your description of your passion for wildflowers rings true and inspiring, Gail. 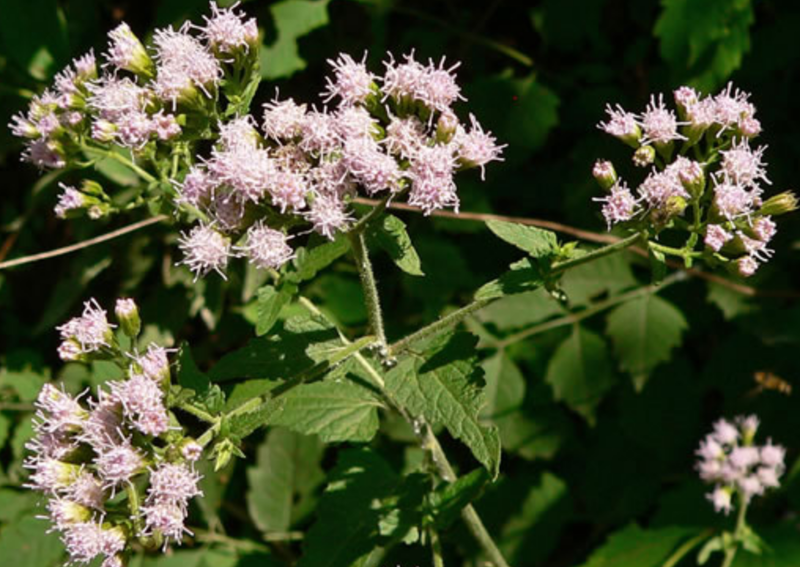 This does seem so very similar to Blue Mistflower, which is a fall favorite here...yet it's different. Thanks for hosting and sharing! I discovered a new wildflower on our land this month, too. A goldenrod that grows in shade! What a great plant. I love Blue Mistflower and I am going to look into getting some of this for the pollinator garden. This is a totally new one on me. Interested to see it is native in parts of Illinois, but I'm guessing that would be in the southern part of the state. Although it does resemble Mistflower, this one is indeed Pretty in Pink. How heartwarming to find survivors and encourage them to thrive!